Super cool modish cover art, a great 'Title Music', two nice (if unspectacular) duets in 'O Mere Raja' and 'Pal Bhar Ke Liye', the atmospheric 'Babul Pyare', the loungy 'Husn Ke Lakhon Rang'... 'Johny Mera Naam' never used to be among my favourite Bollywood soundtracks, but after listening to it now I think it might be growing on me. YQW PC. That's all Danny Elfman and his fascination with Bollywood Music, which inspired his music on the Charlie and the Chocolate Factory soundtrack (Tim Burton also happens to be a fan). Probably one of the best vinyl Bolly collections is owned by Rick Rubin, I saw it once in an interview on CNN. I know that part of the reason you started this blog was so you could choose which ones to keep in your collection. I find myself wondering, as you listen and record them and share your labor of love with all of us, how many you will end up not keeping. Another aside, the instrumental music piece on this album was excluded on the CD. 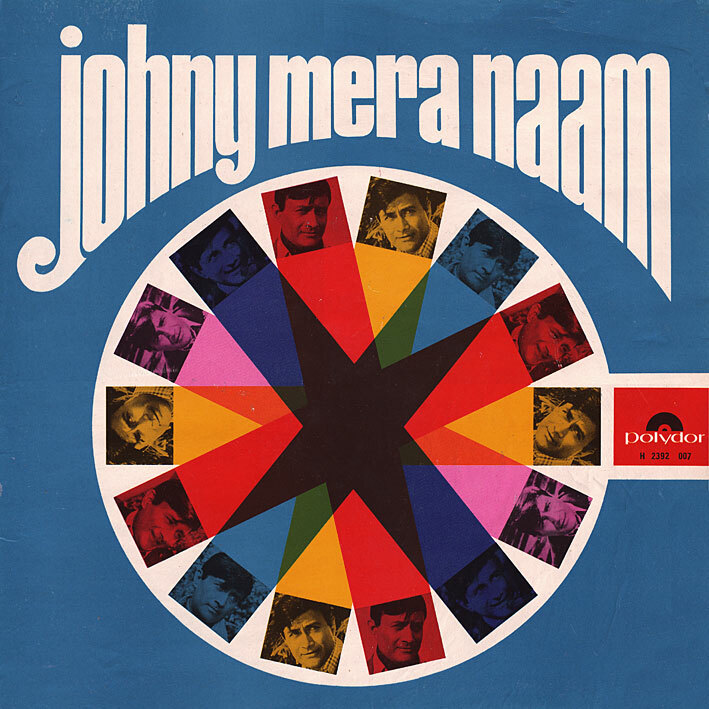 Thanks so much for putting up "Johnny Mera Naam"--I was familiar with several of the songs from a Dev Anand compilation DVD I have (the picturalizations, with Hema Maleni, are fantastic--brilliant color, with a "Help"/Lester feel)--and I have been looking for the songs on compilations for a while. These tunes really grow on you.